The first commercial flight in Costa Rica occurred on December 29, 1928, when a Pan American airplane landed in La Sabana. Over the following decades, the aviation industry expanded. In 1932, the first Costa Rican airline took flight. Named Empresa Nacional de transporte Aéreo (E.N.T.A), it flew between Limón, San Isidro del General, Puntarenas and Liberia. By 1934, the government had declared aviation in the public interest, and the International Airport at La Sabana was officially inaugurated in 1940. 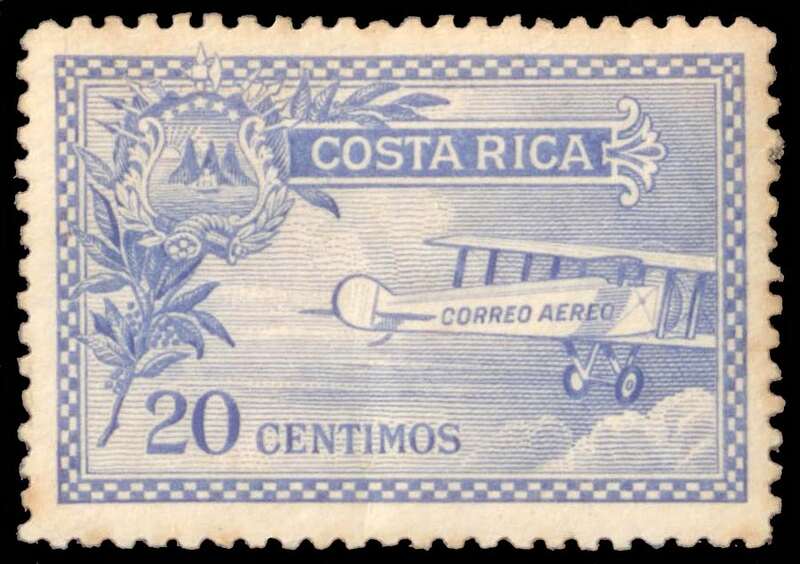 The featured photograph shows a mid-1920s postal stamp for air mail in Costa Rica. Read more about the history of aviation in Costa Rica here. Is Stamp Necessary in New Foreign Passport?